Tirol Castle is definitely worth a visit! 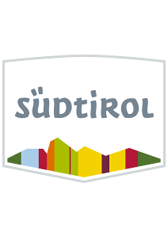 Children and adults receive an insight into life in the castle and the history of South Tyrol! 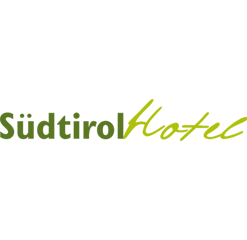 A must during your South Tyrol holiday - a vast areal presenting plants from all over the world, and also typical South Tyrolean landscapes. On a slope above Merano you'll find the Gardens of Trauttmansdorff, the former winter domicile of Austrian Empress Elisabeth, with the Sensual Garden, the Japanese Garden, the cacti and succulent mound, or the cultivated plants from the south such as the olive tree and the grapevine. Our tip: Trauttmansdorff Castle + Thermal baths... make use of both with only one ticket! The landmark of the "Garden town" of Merano and one of the most beautiful high-level promenades in Europe leads over the sunny slopes of Küchelberg to Gratsch. In addition to an interesting mix of alpine and Mediterranean plants it also offers a splendid view of the roofs of the city and the entire Burggrafenamt. The spa town Merano with its professional shops, boutiques, and galleries invites you to stroll around and enjoy this shopping experience. The old town dates back to the 13th century and offers numerous historic treasures like the Gothic St. Nicholas Parish Church, and the arbours with oriels, archways, tucked-away courtyards, narrow alleys and winding stairs. The ski and hiking resort Merano 2000 is located high above Merano and can be easily reached by means of a cable car! 40 km of ski slopes, numerous hiking paths, a summer toboggan run, and traditional huts await you! 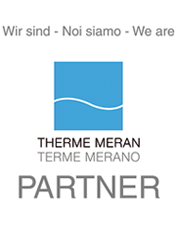 Our tip: Skiing in Merano 2000 + Thermal baths... enjoy both with only one ticket! 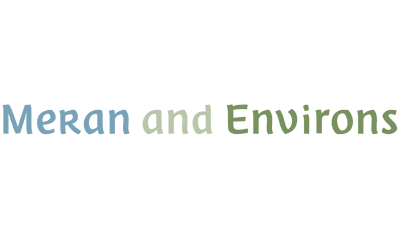 The Texel Group Nature Park comprises an area of approximately 33,430 ha shared between the communities of Senales, Naturno, Parcines, Lagundo, Tirolo, Riffiano, S. Martino and Moso in Passiria. Discover the park by foot, with Nordic walking poles or with a bicycle! Ötzi - the Ice Man. Gaze at the worldwide renowned Ice Man found at Giogo di Tisa in the Museum of Archaeology in Bolzano. Or get informed about the finding place and the life of "Ötzi" in the Archeoparc in the Val Senales Valley. Reinhold Messner calls the centrepiece of his mountain museums the "Enchanted Mountain". Get an insight and view into the world of mountains. With art, religion and statements, Reinhold Messner and architect Werner Tscholl have created a complete work of art, which is unique in many aspects. Bolzano, the capital of South Tyrol, is located only 30 km from Merano. Bolzano: the town where Tyrolean and Italian cultures meet! Bolzano features Walther Square, the arbours, the Town Theatre, the Museum of Archaeology, the Nature Museum, Runkelstein Castle, the Messner Mountain Museum, and many more opportunities! Merano & environs also offers a great variety of culture & events! Do you prefer to relax? In this case we recommend the indoor pool of Hotel Pollinger, the Finnish sauna and our special massages... or the Thermal Baths in Merano! All our guests receive a reduction on the entry fee!